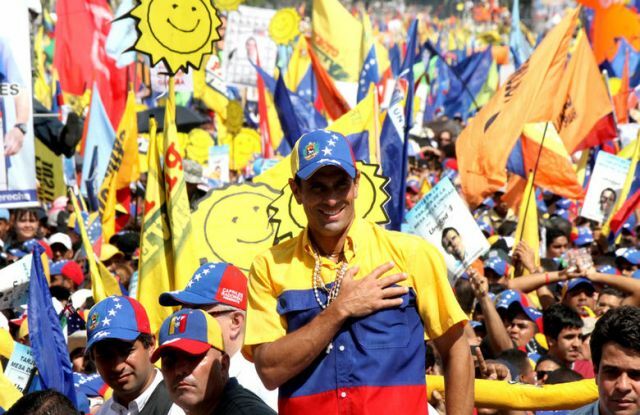 As this electrifying Presidential campaign season comes to a close, this will be the last post in favor of Henrique Capriles, per the CNE’s rules. I leave you with a link to this interview with Capriles’ mother. I kept coming back to the story of his grandmother – who lived inside a closet in the Warsaw ghetto … for twenty months. Henrique probably learned a thing or two about confronting evil with dignity from abuela Lili. Thank you, Henrique, for leaving it all on the line and for the positive campaign you led. Whoever wins on Sunday, hay un camino. Siempre lo habrá.